Give your space a stunning, breathtaking view with this wall mural. 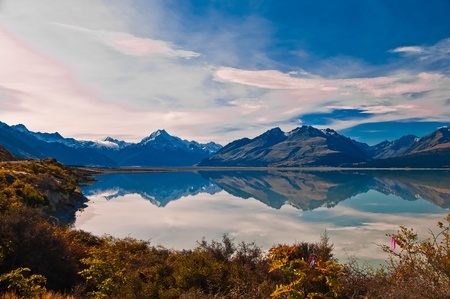 Mountains and sky are reflected in a calm, crystal clear lake. Choose your material and select your size.